I wanted to create a template to let me print and fold very wide pages, like Filofax use for their world map. 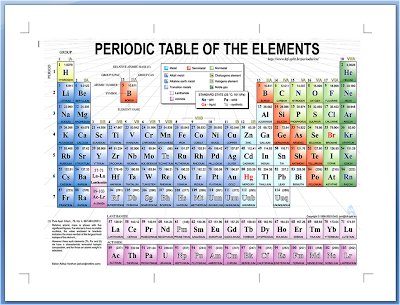 One application I had for them was to print a Periodic Table, a notoriously wide graphic that is hard to read if printed too small. I built the template in Word and sourced a nice JPEG of the table from Google Images. I included the usual crop marks, plus folding marks. You need to perform the two folds before you start cutting. The left hand fold is what in origami they call a valley fold, the right hand one is a mountain fold. A tip is to fold both as mountain folds to start with, so you can see the guide marks as you fold. Once the fold is there, it is simple to change it from a mountain to a valley. As usual, you can download the template in editable MS Word or Adobe PDF formats. 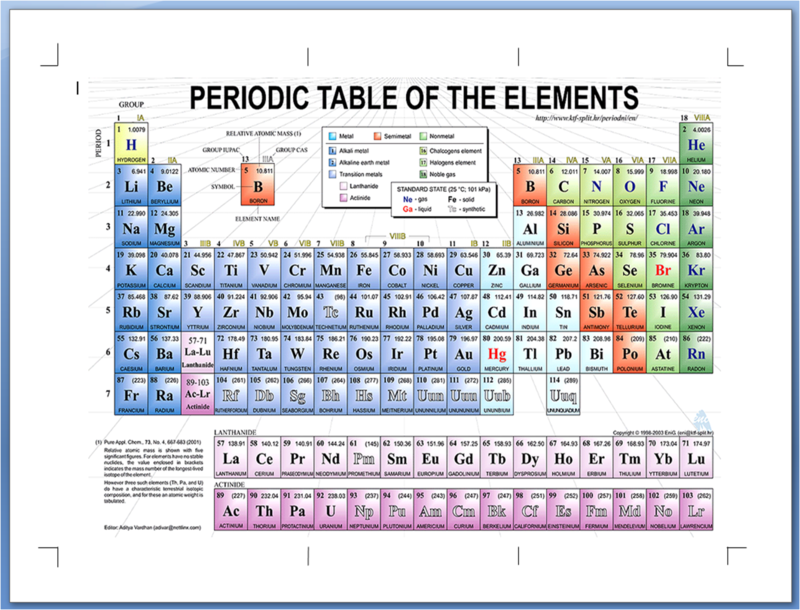 If you choose the Word version, you can, of course, replace the Periodic Table with your own content. Oh Ray, what with snazzy tabs, illustrated dividers and now my own foldaway periodic table, my Filofax must be looking like a clone of yours! You're a creative man, no doubt! Thanks for all the tips. I wondered if you have bent your creativity to the outside of the Filofax. I have a (non-leather) Flex by Filofax and, when I take it from my bag in its closed state, I always open in upside-down because there's little to show which is the front and which is the back. As it's not leather I'm not averse to decorating it in some way to show the front, but I reckon whatever I did would not last long (i.e. would peel off). Has you ever thought of decorating the outside of your Filofax, and how you would do that? You could probably create something similar with a strip of felt and a sewing machine, I'd have thought. Thanks Ray that's awesome. Its just a shame Filofax don't put some effort into producing decent fold-aways like this! Hi Ray. I've created a wine guide based on your foldout document.